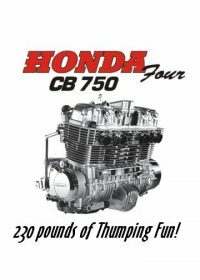 Many people ask me about how to tell what year their frame is or what year their motor is, so I thought I would add an identification listing of all CB750 S.O.H.C. models. With Model, Frame and engine year. Hope this helps you… as it sure does help me out at times. This entry was posted in Blog, Cycle Tips & Tech. Bookmark the permalink.